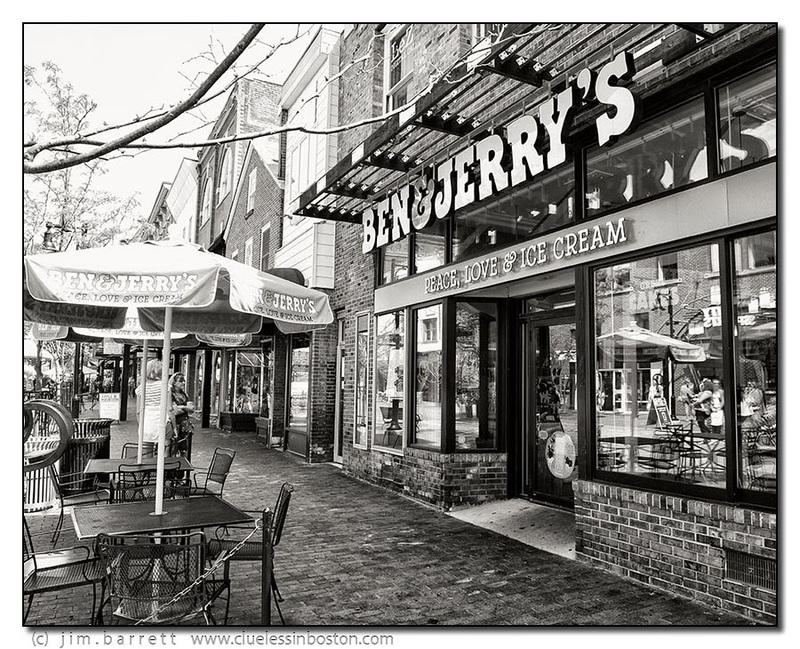 Ben & Jerry's Ice Cream Store on Church St. in Burlington, VT. Since I can't have ice cream, I'll settle for peace, love & chocolate. This is a great street shot! Love it!